The Calloway-Schooley House, as it’s called, is one of the oldest structures in Capitol View Park, an early railroad suburb of DC. There is a legend that the community was named after the spectacular view from the third floor of the house’s turret. Today, the view is obscured by trees, but the house itself retains a remarkable amount of character. 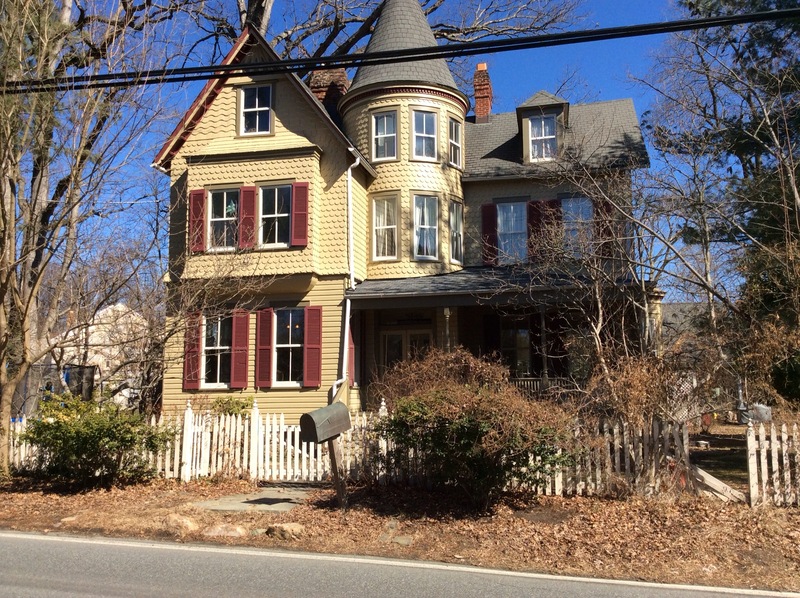 Despite being converted into a private elementary school in the 1920’s, the house’s original windows, doors, floors, woodwork, radiators and fireplaces are still in place and the interior floor plan is largely intact. The Calloway-Schooley House before rehabilitation. 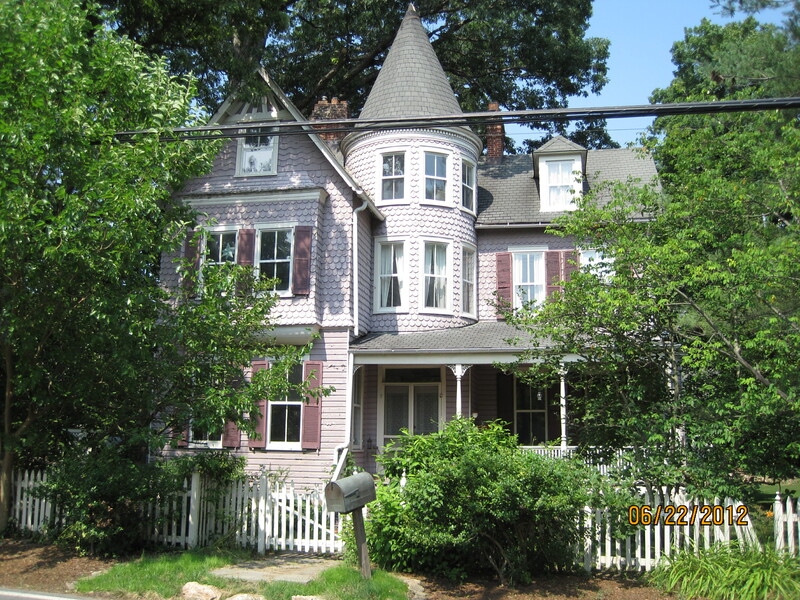 Unfortunately the slate roof was swapped for asphalt by a previous owner, but original German siding, fish-scales and third floor wavy shingles were spared. The siding is no doubt one of the most prominent features of this house, so to ensure its survival for decades to come the Bonomos commenced a full exterior rehabilitation project in 2013. All of the exterior wood surfaces needed to be scraped and repainted, but upon further investigation, they discovered that the front porch had suffered serious water damage and needed to be disassembled and rebuilt. Because their property is located in a historic district and protected by a state preservation easement, all of the repairs had to be made in accordance with historic guidelines. This necessary but costly undertaking was the perfect project for the Bonomos to seek state and local tax credits. 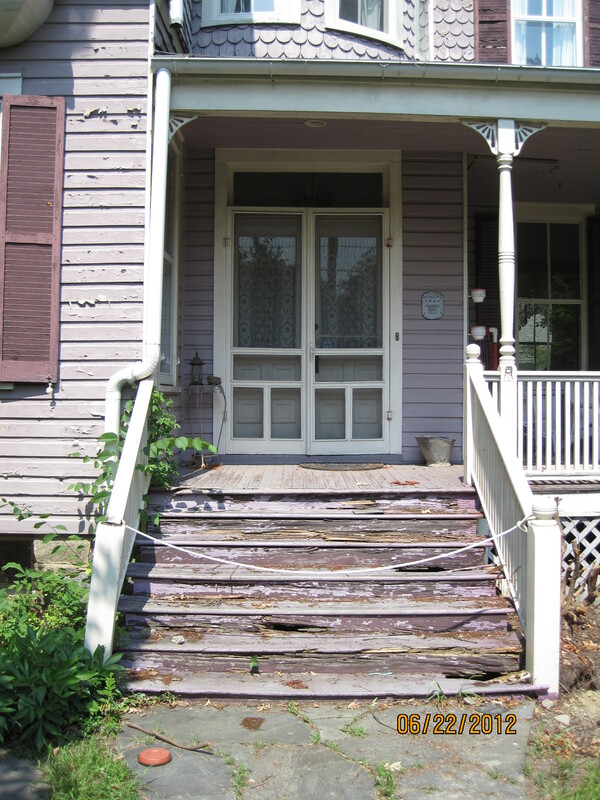 The Calloway-Schooley House front porch, before rehabilitation. Most contractors they met with encouraged the use of composite replacement material and balked at the idea of patching historic wood or replacing to match in-kind. Eventually they hired a local carpenter, Greg Luetjen, who could make the necessary porch repairs along with painter Santos Flores who transformed the exterior from periwinkle and white to a rich gold with green and red accents. Now that the work is complete, the Bonomos are thrilled with their “new” exterior. When asked if they would apply for tax credits again in the future, they said “definitely” and pointed to the kitchen as their next project. If you are planning to rehabilitate a historic property, you may also be able to earn a 20% state income tax credit on eligible rehabilitation expenses. To learn more about the Sustainable Communities Tax Credit program visit our website at http://mht.maryland.gov/taxCredits.shtml. 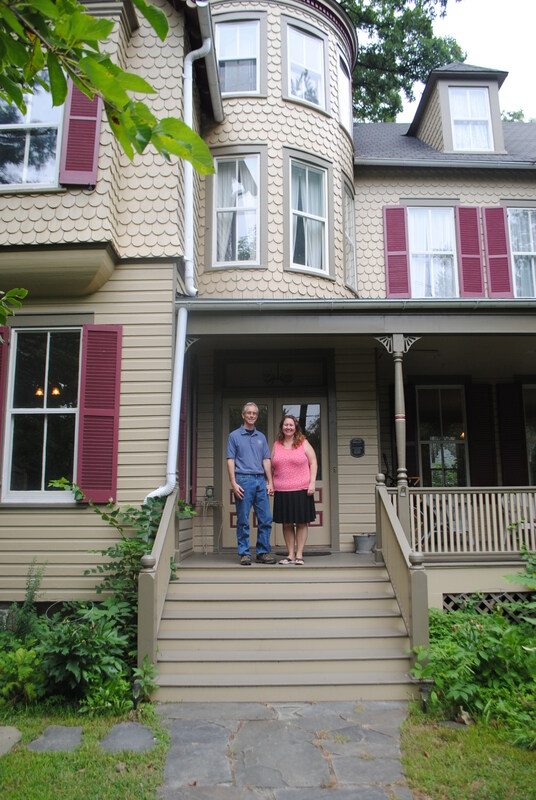 The Calloway-Schooley House after rehabilitation. This entry was posted in Tax Credits. Bookmark the permalink.